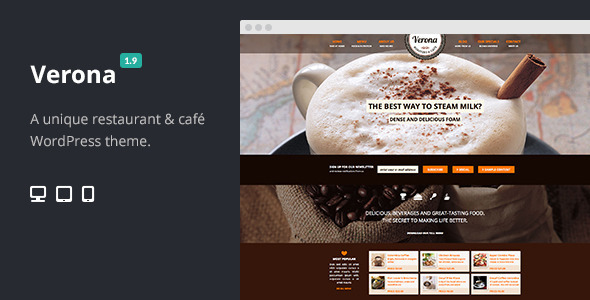 This is more than 25 Best Restaurant and Cafe WordPress Themes in 2015 and we will keep it up until the end of this year. 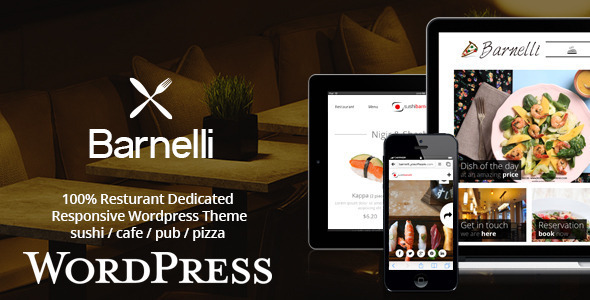 In last year I got a lot of good feedback for the post 25+ Best Responsive Restaurant WordPress Themes which is a good motivation for me to continue to write about this topic. 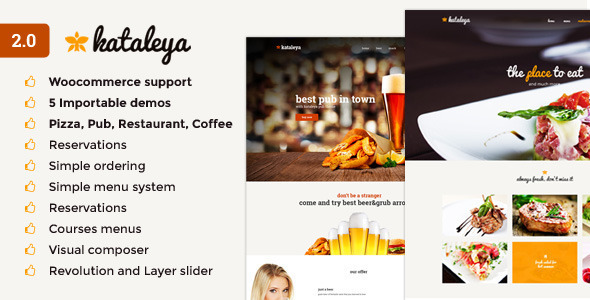 Bellow is more than 25 wordpress themes with many useful and most popular functions with clean and unique design it’s ideal for any restaurant, café, coffee shop or bistro. 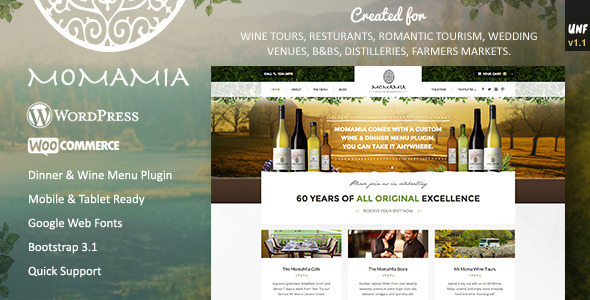 Momamia is a mediterranean style WordPress theme perfect for restaurants, wineries, wine tour companies, cafes and businesses looking for a relaxing outdoors feel. Built with Greek, french and Italian restaurants in mind. Would also suit a B&B in the country, or a romantic tour, wedding venue, winery. It has been carefully designed, coded and tested. 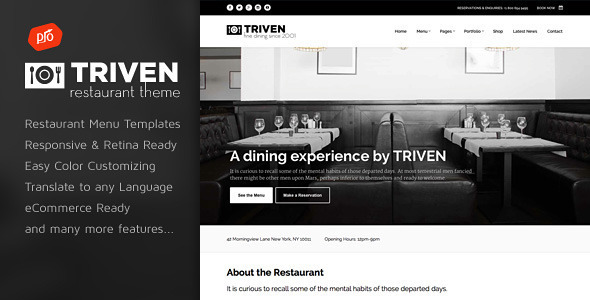 Vienna is a premium restaurant WordPress theme and is designed for anyone in the restaurant and/or hospitality industry. 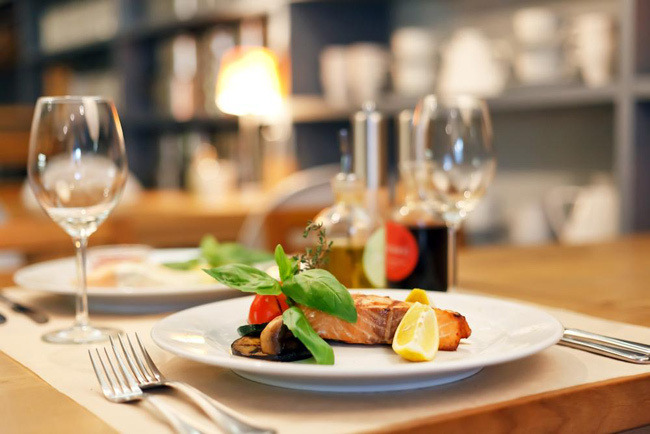 Vienna was designed for restaurant and bar owners, banquet halls, catering companies, hospitality venues and professional bloggers who cater to the food niche. 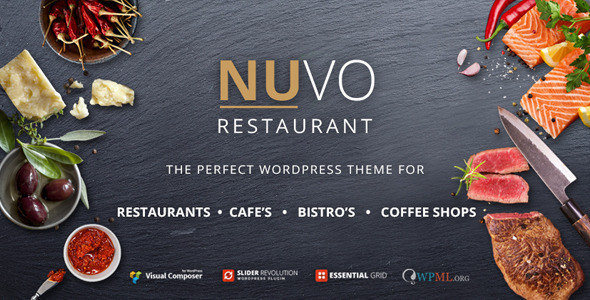 NUVO is an elegant, modern, functional and easy-to-use responsive parallax wordpress theme that has been purposely built for the restaurant, cafe and bistro industry. 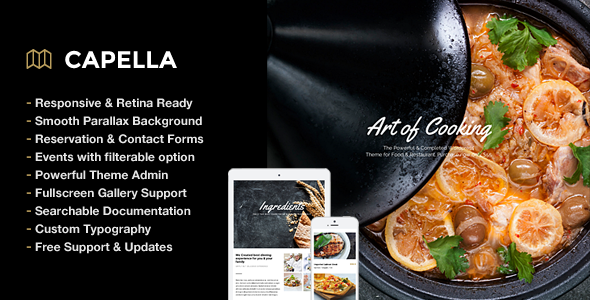 The theme allows you to choose between the different demos we have created for each type of food establishment or create your very own style to match your restaurant, cafe or bistro business. 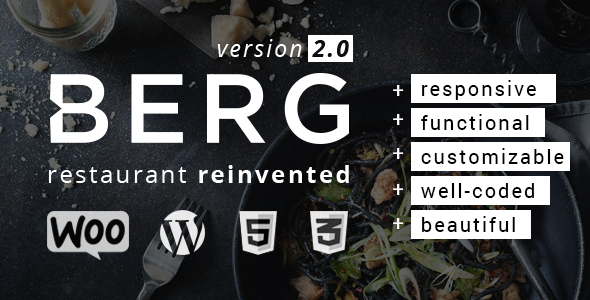 BERG restaurant template with multipurpose ambitions. 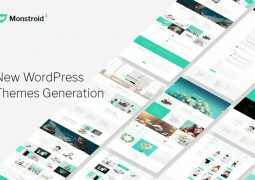 BERG is our most beautiful, advanced and feature rich WordPress theme yet. We put lot of effort and time into planning, designing and creating it. 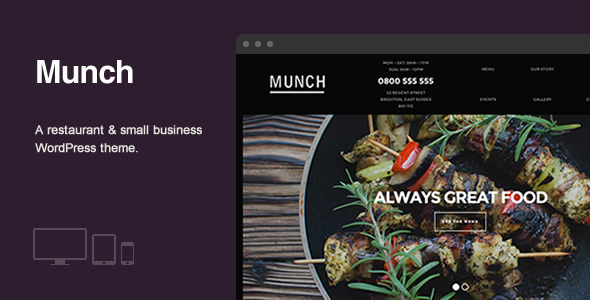 Munch is a bold premium WordPress theme. 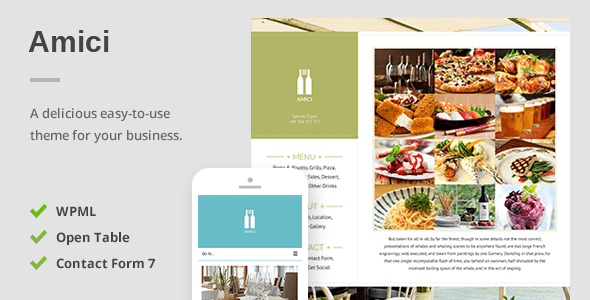 It is perfect for restaurants, bars, cafes, salons, barber shops and many other small businesses with a menu based product offering. 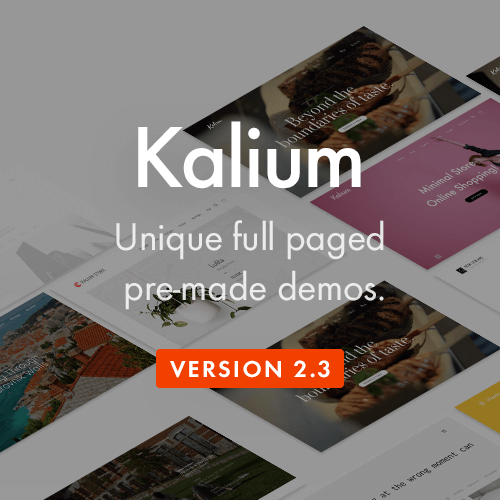 It features extensive built in styling options to make tailoring the theme to your business quick and easy as well as some subtle CSS3 animations. 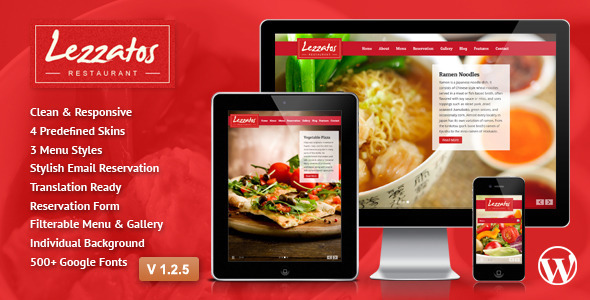 Delizioso Restaurant Responsive WordPress Theme – is a beautyful theme for different entertainment establishments. 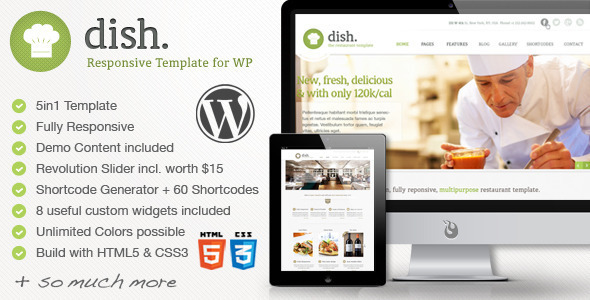 Chosing our theme, you will be able to create an awesome web site in a few minutes with a lot of features. You are a restaurant, a cafe or a eatery? 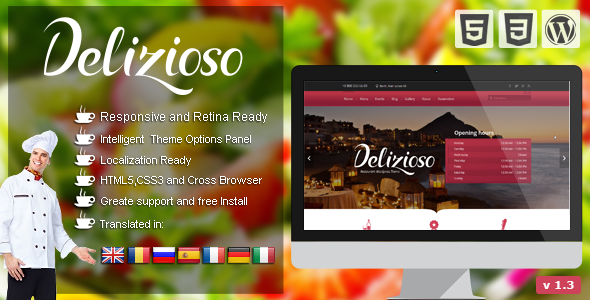 The Delizioso theme is the perfect solution for you. Forked is suitable for Restaurants, Bistro’s, Hotels, Clubs, Foodtrucks, Breweries, and anyone in the foodie or event industry. 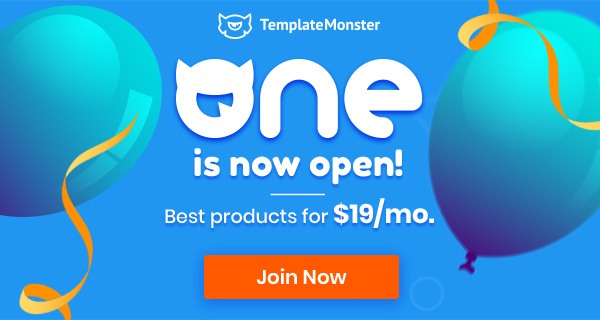 The theme is built on the very unique Croma Restaurants and events framework that brings features ot the table that is nowhere to be found outside of this framework. 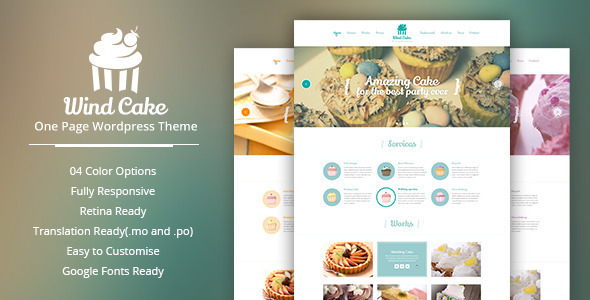 Wind Cake is a one page WordPress theme, perfect for your choice. 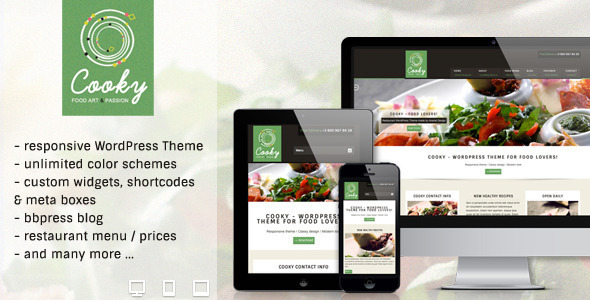 The theme is very sweet, cute and unique, is ideal for bakeries, ice cream shops, gift shops and more..
Foodtruck – Streetfood Template comes as a One-Pager and Multi-Page WordPress Theme. 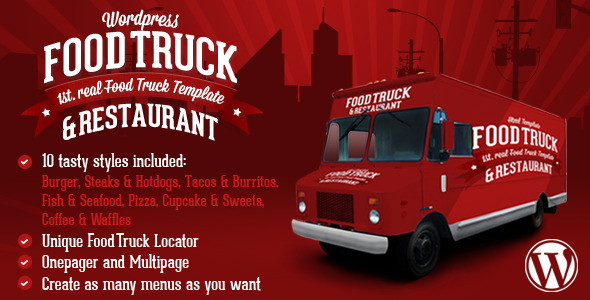 This template is ment to be used by all Foodtruckers, Streetvendors and small food businesses around the world. 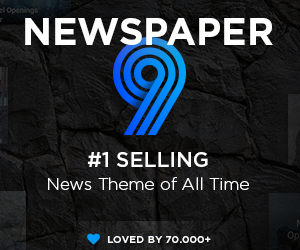 Verona is an awesome WordPress theme which brings many useful and most popular functions with clean & unique design. It’s ideal for any restaurant, café, coffee shop or bistro. 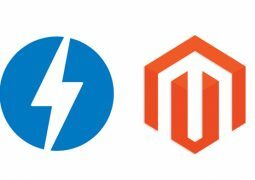 It’s very flexible and powered with our framework that has advanced theme options to make your site very flexible and fully customizable. 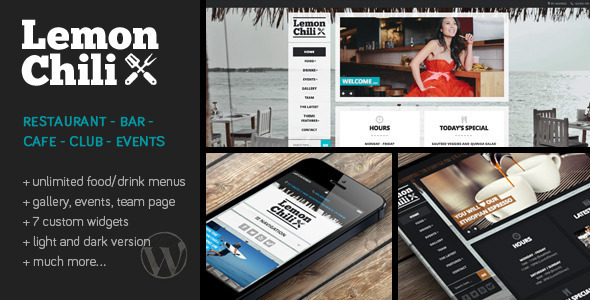 LemonChili is a premium, responsive WordPress theme with special features for restaurants, cafes, bars, clubs, events. 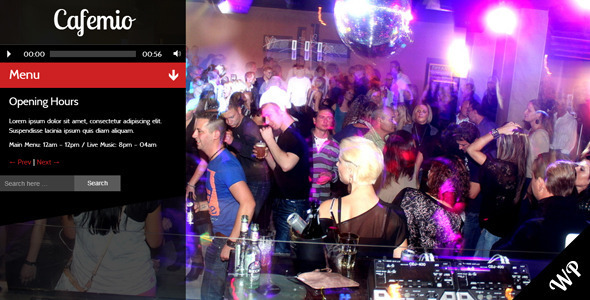 With LemonChili you can create unlimited food and drink menus as well as an event page, a team page and a gallery page. 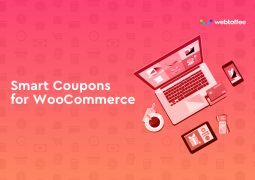 Cooky WP theme is loosely based on our own “Cooky” Site Template, but features many useful add ons that make this WP theme easy and fun to use. As the name suggest it is built having food and restaurants in mind and was probably inspired by having an empty stomach after long day behind the screen. 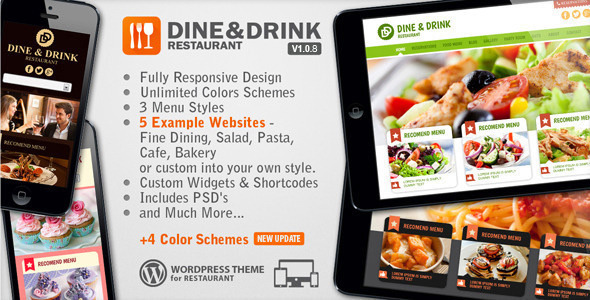 Dine & Drink is Responsive Restaurant WordPress Theme, suited for any kind of restaurant, cafe, coffee shop, bakery, cake, mexican cuisine, pasta, pizza, ice cream, japanese, sushi, salad etc. 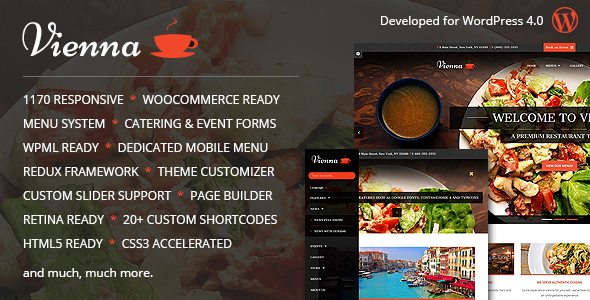 Cafemio is an Ajax WordPress Theme and it is created for nightclubs, bars, restaurants and cafes. 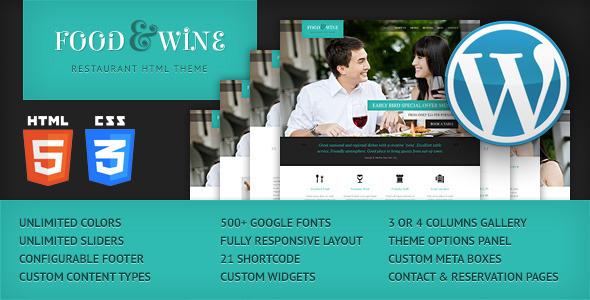 It can be also used as a multi purpose wordpress theme. 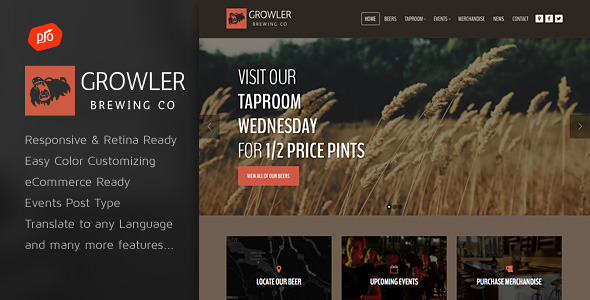 With a responsive design it’s compatible with devices like Tablets, Smartphone’s, iPad, iPhone, and Android Phones too. Try resizing your browsers to see different layout option or watch the site in iPhone using the QR Code in the Screenshot to see perfect responsive design. 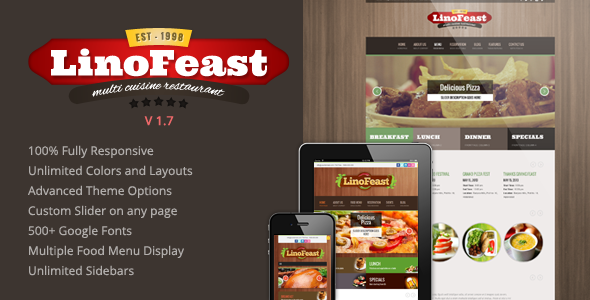 LinoFeast is a very powerful theme with many features easy to edit for users without programming knowledge and for developers too. 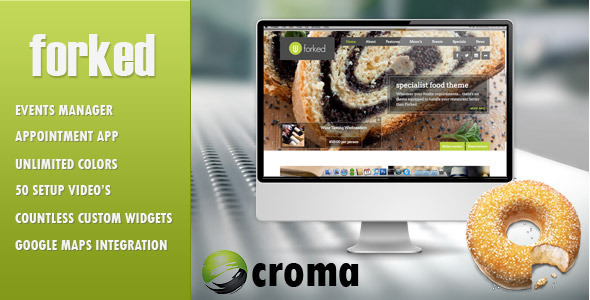 It empowers you to change any color of elements such as backgrounds, texts, links, menu links, typography etc. 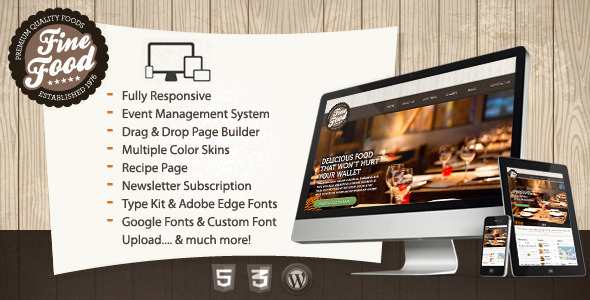 Excellent fully responsive theme for a restaurant, diner, cafe, hotel or bed and breakfast. 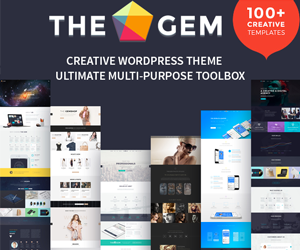 Simple, modern and elegant design, clean code and very well organized files makes this theme extremely easy to edit.